With each new space discovery, we realize how much we still don’t know about the solar system. Astronomers recently detected a mysterious object near Neptune that doesn’t move through space as expected. 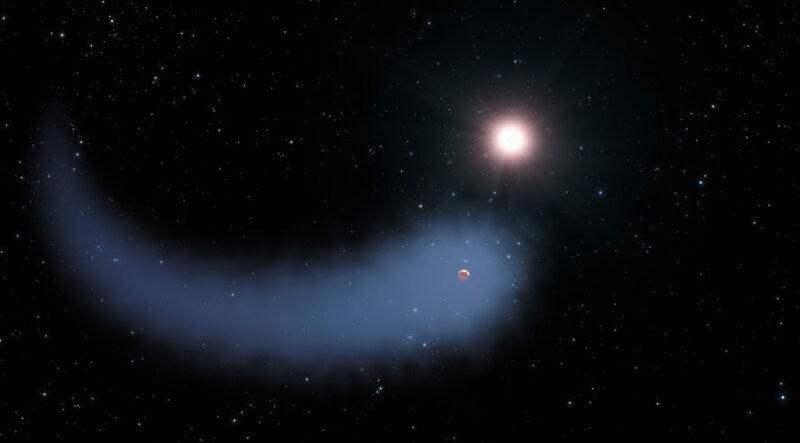 The trans-Neptunian object (TNO) actually moves backwards around the sun, and it has scientists scratching their heads. Except, of course, for Niku. Since the TNO is moving backwards, and also upwards, the astronomers think it must have been “knocked off course.” But we don’t yet know what exactly bumped the TNO. At first the astronomers thought Niku’s abnormal movement could be related to Planet Nine, another baffling object even further away than Neptune. But they’ve tossed that theory out for now, as Niku is “too close to the solar system” to really be influenced by Planet Nine. A group of astronomers including Holman and 16 other scientists from institutions in Taiwan, Hawaii, the UK and Germany submitted a paper earlier this month detailing the find, and it has been accepted for publication in the journal ApJ Letters. Using the Pan-STARRS telescope in Hawaii, astronomers detected a mysterious object near Neptune. The object is referred to as a trans-Neptunian object, or TNO. The object is moving backwards around the sun.